Children or young people going missing from home or school. Changes in a person’s behaviour or emotional wellbeing. Children or young people socialising with unfamiliar people. A person starting to abuse drugs and alcohol. Someone acquiring money they can’t account for. Someone buying expensive goods they can’t afford. Lone children visiting from outside the area. Someone with multiple phones, tablets or SIM cards. Unknown or suspicious people going into a neighbour’s house – especially if that neighbour is vulnerable. “We are getting very good at disrupting county lines gangs operating in Warwickshire and bringing the key players to justice. “However, we also need the people’s help; the public are our eyes and ears in the community and it is important they are looking our for the signs of county lines drug dealing and report it to the police. 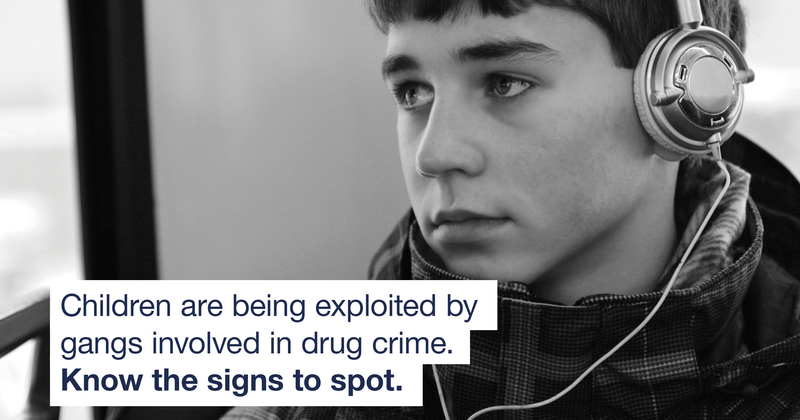 “County lines criminals tend to target youngsters and vulnerable people, getting them to deal drugs. This is why we are asking people to look out for the signs. On their own, each of these signs may not be suspicious but put them together with changes in behaviour it could be a sign of county lines drug dealing.